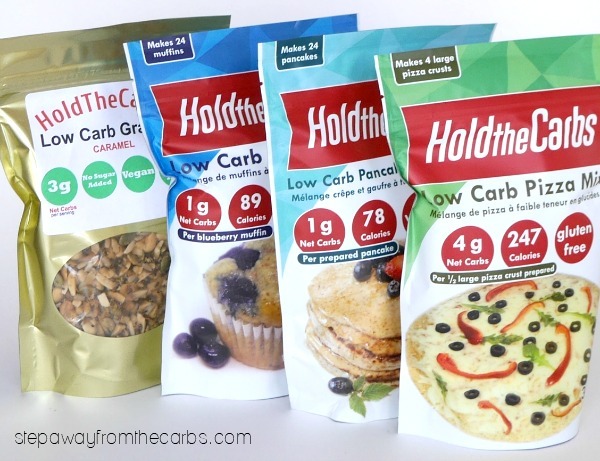 A review of the Canadian site HoldTheCarbs.Ca – that offers low carb muffin mixes, pancake mixes, pizza mixes granola, and more! 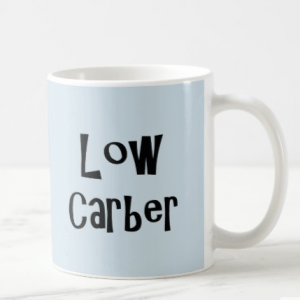 This is a sponsored post written by me on behalf of HoldTheCarbs.ca. All opinions are my own. Please see my disclosure policy. The post also contains affiliate links, which means that at no extra cost to you I can make a tiny bit of money to help support this blog. Thank you! 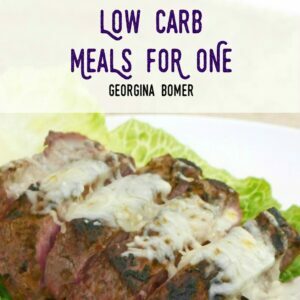 Now I know that a bunch of you Canadian low carb bloggers are going to LOVE this review of HoldTheCarbs.ca! They offer free shipping on all orders over $49 within Canada (and free shipping on all orders over $100 in continental US!). But if you’re in the US – don’t go away! – you can buy these products too – from Amazon! 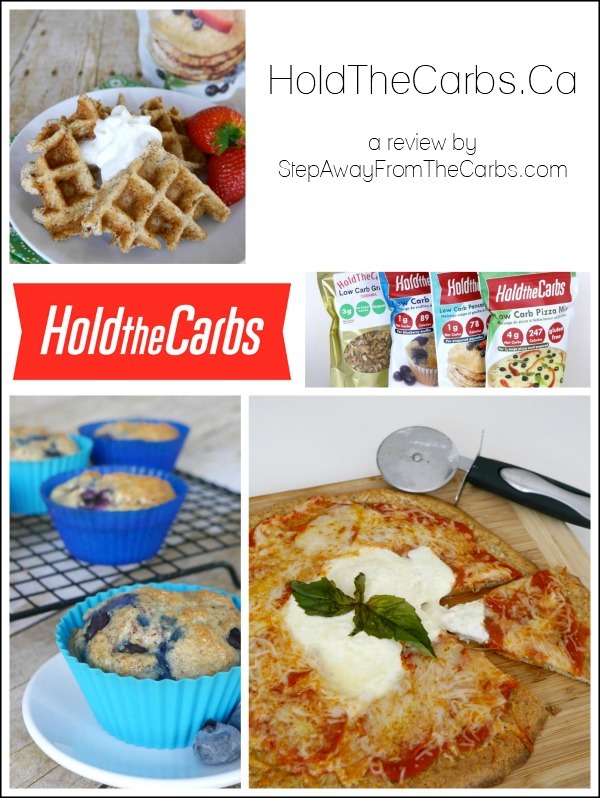 I was lucky enough to get the chance to try out four of their items: Low Carb Muffin Mix, Low Carb Pizza Mix, Low Carb Pancake/Waffle Mix and Low Carb Granola. 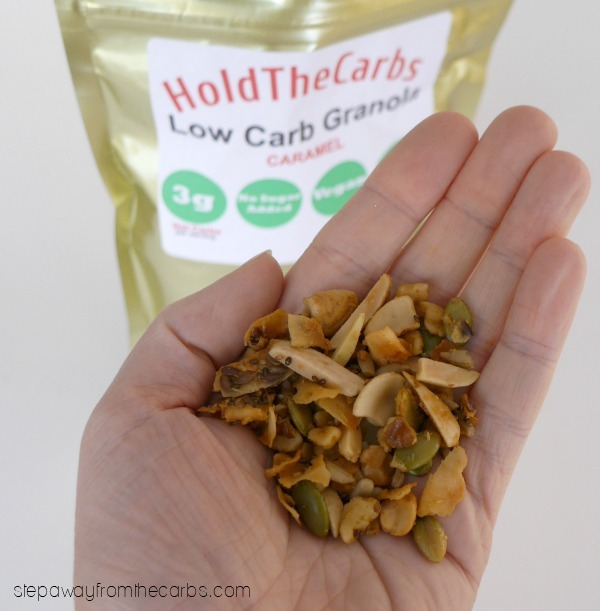 The first thing I tried was the Low Carb Caramel Granola. Now I’ll be honest – I’m not a great lover of granola. I know that seeds and most nuts are low carb, but it’s not something I generally enjoy eating. But I have to say, I really enjoyed this granola! It’s made from a combination of coconuts, almonds, walnuts, cashews, sunflower seeds, pumpkin seeds, flaxseed, olive oil, chia seeds, sucralose* and caramel flavor – I suspect it was the last ingredient that made the difference to me! It’s also only 3g net carbs for a ½ cup serving! Then I tried the Pancake and Waffle Mix. 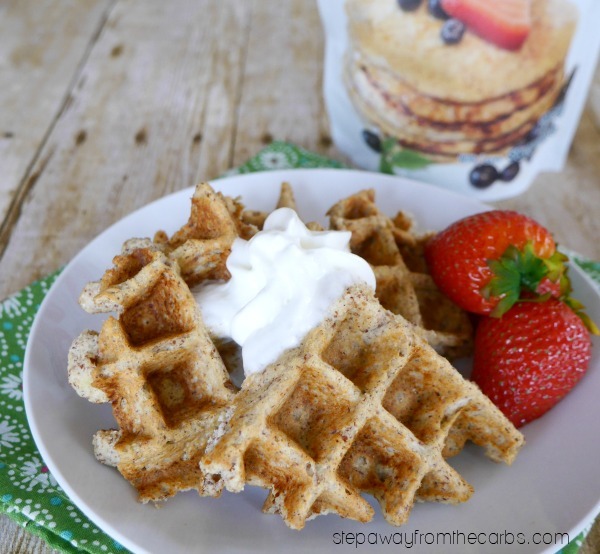 I make high carb waffles for my son every weekend, so I couldn’t wait to have my own low carb version! The ingredients in the mix are almonds, organic coconut, sucralose*, baking powder, spices and salt. All you need to do is combine a heaped ⅓ cup of the mix with an egg and ⅓ cup of milk (I used unsweetened almond milk). From this you can make three pancakes, which are 1g net carbs each (mix only) or 1.1g net carbs including egg and almond milk. The pack also said it makes two large waffles, but it didn’t actually fill my waffle maker completely to make even one. I tried again with ½ cup each of the mix and milk – and it was perfect! This obviously increases the carb count – but by my calculations it still comes in at under 5g net for the whole waffle – and it’s REALLY filling! Next up was the muffin mix. The pack gives the option of apple cinnamon or blueberry – I chose blueberry. Required additional ingredients are just eggs, almond milk and fresh blueberries – so that’s easy! I made up the mix according to the pack instructions and rather like the waffles I found that the quantities weren’t quite right – the mixture only filled 5 muffin holes instead of six. I baked them anyway (I like the trick of adding the fresh blueberries after two minutes of baking!) and they were delicious! Not too sweet, but light and soft. 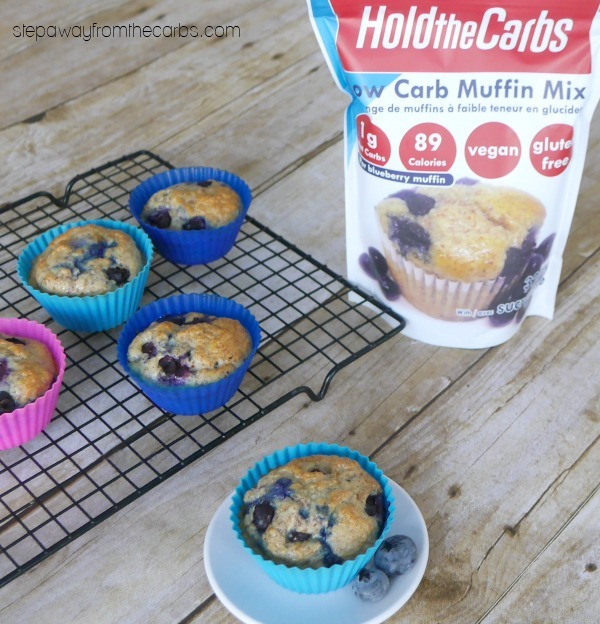 Carb count works out to 1g net carb per muffin (based on 6), or 1.2g net carb if you make 5, like me!). Oh and the ingredients? Just almonds, baking powder, sucralose* and salt. And finally – the pizza mix! 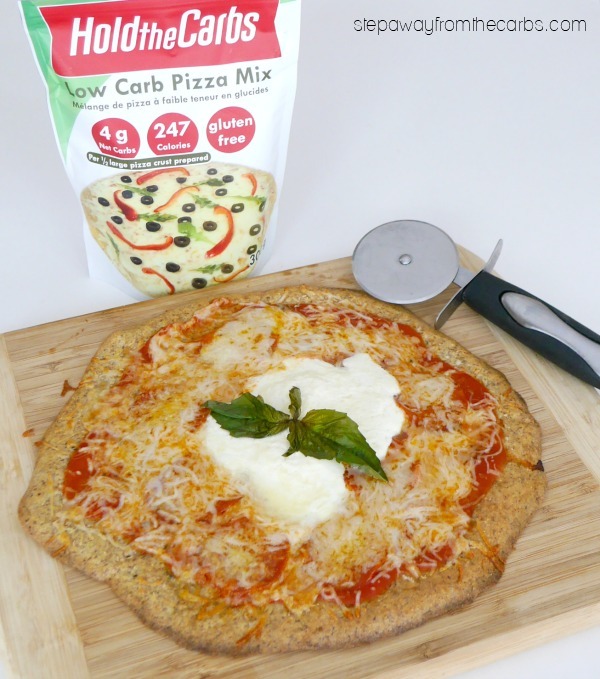 I was pretty excited about this because there aren’t many pizza alternatives that are low carb AND gluten free – unless you look at cauliflower versions. The ingredients list is great here: Almonds, Parmesan cheese, garlic, onion, and herbs. That’s it! You will need to add 3 eggs (or 5 egg whites) plus water to the mix. Two things to note: It doesn’t really make a dough, so it’s a lot runnier than you might be expecting. And secondly, the instructions say to cook the pizza mix on a generously greased pan. I skipped the greasing the first time I made this – and it, um, stuck. A lot. So don’t forget to grease (I actually greased a silicone mat for my second attempt – no problems at all!). 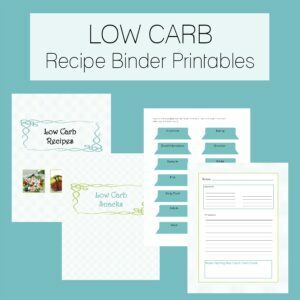 Carb count for the base is 8g net carbs for the whole thing – and it will easily serve two people. I topped mine with tomato sauce, herbs, pepperoni, shredded cheese, and burrata! 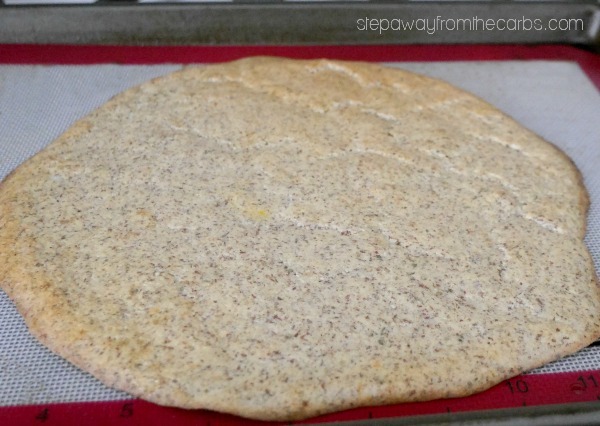 The base wasn’t like a regular dough base – but it was perfectly tasty, and did the job!